Except for the chimney, Hamilton’s Fireplace Shop has just about anything required to turn an empty hearth into the heart of a home. Gas-burning logs, glass screens, decorative covers, hand-carved mantles, distinctive dog-irons and decorative bric-a-brac all adorn the shop. The display areas stretch back far enough to get lost in, but the people running the place can help shoppers find their way through. Jim Hamilton knows the answers to shoppers’ questions because he’s been running the business for 35 years. Hamiltons is located at 4462 Summer Ave in Berclair. It’s an old-fashioned mom-and-pop operation. Formerly a hardware store, the building still has weathered wood and concrete floors. The Hamiltons don’t have a Web site. They provide customer service one person at a time – without high-pressure sales pitches. The business originated as a fireplace shop, but over the years has expanded into offering outdoor grills and patio accessories. The people coming into the store these days have winter on their minds. If this year’s cycle of cooler, wetter and stormier weather holds, Memphians could be in for a harsh one. Hamilton gives advice when asked. He doesn’t blast the airwaves with advertisements and depends on word-of-mouth to drive sales. That’s one advantage of having been in business for 35 years. Trends are hard to nail down with fireplaces, Hamilton said, because people set them up according to their personal tastes. “Everyone is different and has different ideas about what they want,” he said. 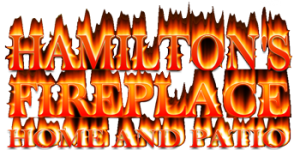 Hamilton established an affinity for fireplaces when he was in college. 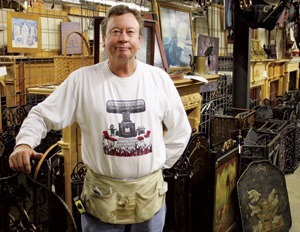 He first set up shop in the Raleigh Springs Mall, then moved to the shop’s current location at the northwest corner of the intersection of Summer Avenue and Berclair Road. He rented space there, later bought the building and since has acquired adjacent lots to the point that Hamilton’s Fireplace now has about a 4-acre footprint. But he started out with only a $5,000 line of credit – a loan that he used to buy inventory. He was orphaned at 17 and worked his way through college. One of those jobs was drawing fireplace patterns while in college. He had to borrow money to start the business because he spent all he had saved on his education.